One of the biggest plus points of Zero is its director Aanand L Rai since he has a terrific record of delivering hits that are an amalgamation of entertainment and subtext. When I watched the theatrical trailer of Zero today, all my expectations were fulfilled as Aanand has woven a larger-than-life love story about aspirations and relationships and the height of its protagonist doesn’t matter. 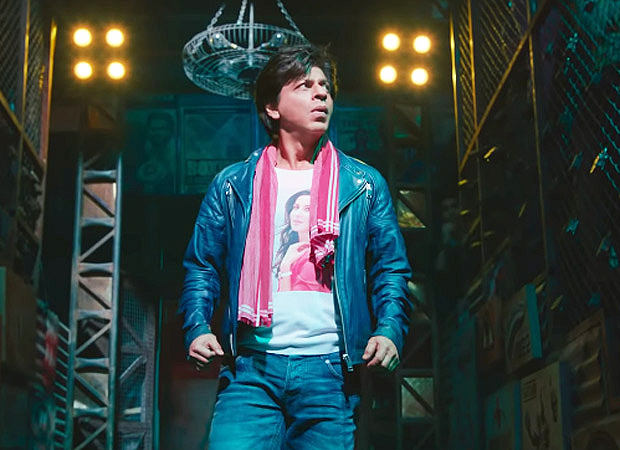 If the promo is anything to go by (Promo, in many cases makes or breaks a film these days) then Aanand has presented Shah Rukh Khan in the manner that will make his fans erupt with joy. Before I move to Shah Rukh Khan, let me talk about another star of the movie. And that’s the writer Himanshu Sharma who has written the story, screenplay and dialogues. Both Himanshu and Aanand have worked in the past and they are completely in sync with each other. It shows clearly in their collaborations. Some of the dialogues are massy and classy at the same time. Shah Rukh Khan has always exuded dollops of charm, energy and professionalism. Even in his last few films (some of which have been criticised and some haven’t fared well at the box office), he was let down by the directors or writers or maybe something else. As Bauua Singh, Shah Rukh Khan is essaying a character that’s going to effortlessly carve a place in everyone’s hearts. He entertains and makes you feel for him. But no, you wouldn’t feel like pitying him. He’s way too self-respecting for that. Full marks to the VFX team for making his height look so seamlessly short. Anushka Sharma has an unconventional character and the manic quest for perfection drives her towards another memorable performance. As for Katrina, well, khoobsurat logon ko haq hai apne upar ghuroor karne ka. She has been presented like a rockstar and her fans can rest assured that apart from superlative dancing skills, Katrina will be spoken about for her performance as an actor too. In the support star cast, Brijendar Kala and Tigmanshu Dhulia are notable. Music and camerawork raise a curiosity for how the final product must be like. The promo ends on a note that coaxes you to feel like watching the movie-right now. In other words, it’s a wicked way to end the promo. Zero theatrical trailer is a dust of brilliance sprinkled in abundance.